What Does Philippians 1:17 Mean? Paul had just explained to the Philippian believers that there were two types of teachers who were giving good instruction about the glorious gospel of grace – but the motives of these two groups were diametrically opposite. The first group were preaching the gospel of Christ Jesus for no better reason than out of envy and strife. 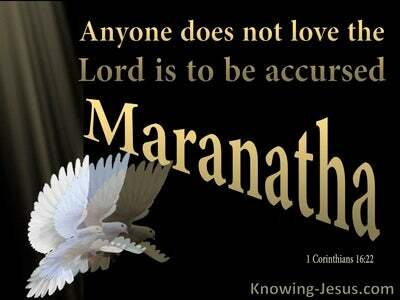 They were jealous of Paul’s calling and his apostolic ministry. 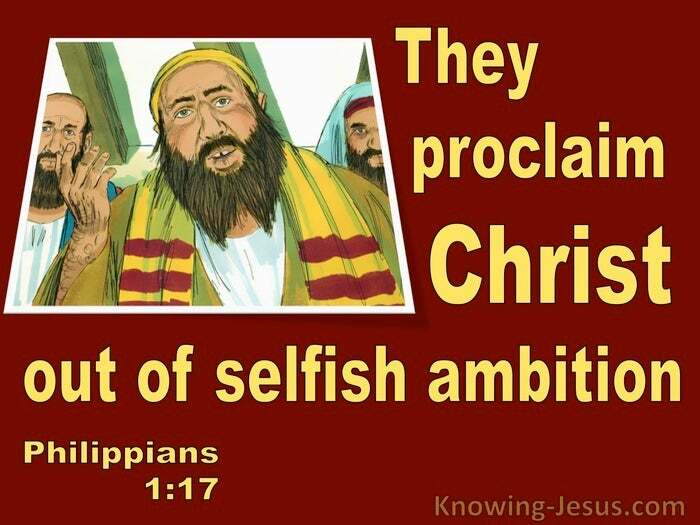 Rather than proclaiming the gospel with the joy and thanksgiving for their salvation and to honour for their glorious Saviour, they were selfish, ambitious individuals, who had developed a spiteful, contentious disposition. Their motive in spreading the Word was far from pure, for their ministry had developed out of selfish envy and an ungodly rivalry. Rather than showing sympathy towards Paul’s imprisonment, they expressed their delight that he had been flung into jail. The second group however, taught the gospel of God out of love for Christ and gratitude for their great salvation. 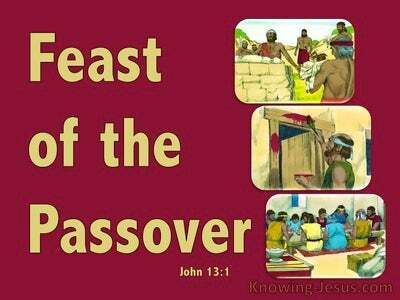 They also expressed their loving goodwill towards Paul, knowing that He had been appointed by the Lord for the defence of the gospel of grace. 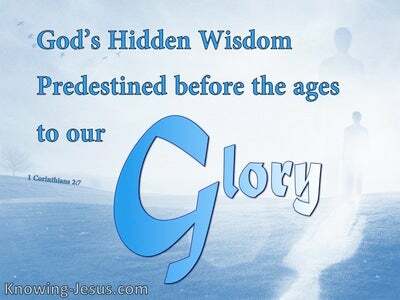 These dear people knew that Paul had been entrusted with certain mysteries, which had been hidden from earlier ages and generations, but had been made known to them, through Paul. They valued him and his ministry and showed him their loving concern when he was put in prison. Paul’s imprisonment had emboldened this second set of godly ministers to preach the gospel fearlessly, despite the obvious consequences. They wanted to partner with Paul and proclaim the Word of God fearlessly – as he had done. Their respect for Paul caused this group to act with greater freedom of speech, and Paul’s incarceration, helped them to become fearless ministers of Christ, who showed indifference towards any adverse consequences. 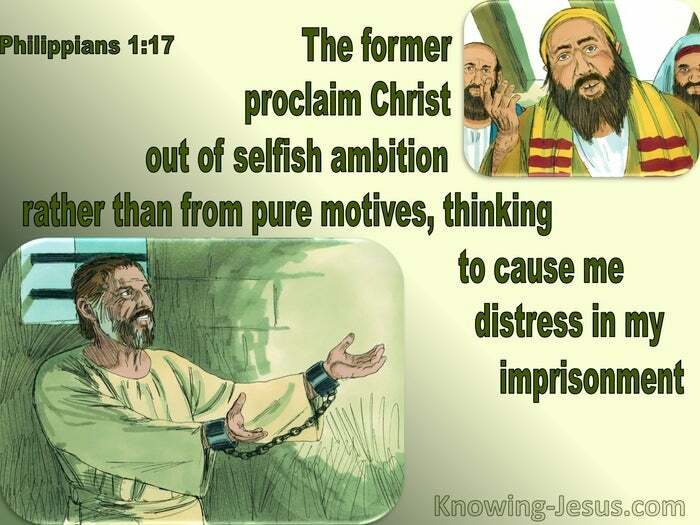 What a contrast in the heart and motive of these two groups of Christian ministers – the former proclaimed Christ out of selfish ambition rather than from pure motives. Their motive was to cause him distress during his imprisonment. The motivation of these mean-spirited, carnal Christians is far from the godly instruction that we are taught to follow in Scripture. There is no way that these envious and ambitions men were living the compassionate, Christ-like life, of a child of God.. who is walking in spirit and truth. They showed little or no consideration towards Paul and identified themselves as selfish, mean-spirited people who did not consider the needs and necessities of others, before their own. 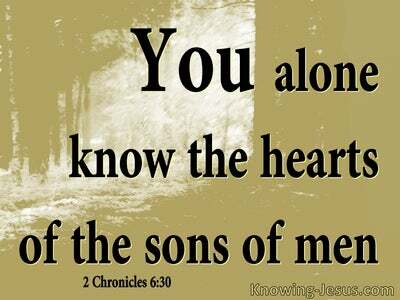 May we learn all we can from this simple verse that exposes the mean-spirited, spiteful attitude of a carnal believer and contrasts it with the gracious, godly attitude of those that are walking in spirit and truth. May we show Christ-like compassion to all of our brothers and sisters in Christ and seek to place their needs above our own. Heavenly Father, I pray that I would learn all that You would teach me through these two contrasting groups of Christians. I ask that I would develop a gracious, caring, godly attitude towards ALL my brothers and sisters in Christ. Keep me from developing any unrighteous behaviour or adopting a carnal attitude towards believers, whose calling appears to be of greater significance than my own. Thank You for the work that You have given ME to do. Keep my motive towards others pure, and may I do all to the glory of God – this I ask in Jesus name I pray, AMEN.